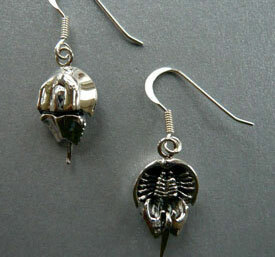 Our horseshoe crab jewelry makes great gifts (for yourself or a friend!). We searched to find a high-quality product and think we've found it in these beautifully detailed pins, pendants and earrings. 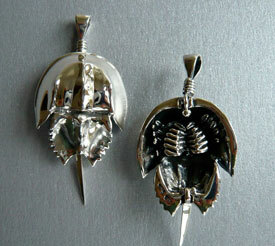 All our jewelry is available in 14K gold, however due to the fluctuating cost of gold, please call for pricing.